These high end headphones are going for 250$+ elsewhere. RW&CO is my favorite brand, good bang for the buck casual or office clothing. Dress shirts can be had at 20$ with this sale. 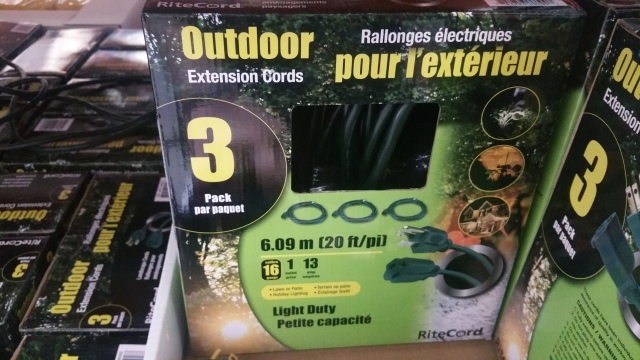 Hot deal from HomeDepot, at 14.88 $ ! You can reserve and pick-up in-store for free via their webpage. Bosch Clear Advantage wiper blades, 7.99$ !!! We all have them, we hate them until you find the right fit. For 7.99$ and up, depending on the size, you get quality Bosch wipers. Just input your car year, make and model and it will tell you what to buy. Microsoft : Kangaroo Mobile Desktop 149 $ !!! Very very hot deal again from the MS Store. This mobile desktop can be had for 149$ + Free shipping with Windows 10 64 bits. It has bluetooth, wireless, USB and weights only 164grams ! All you need to do is plug a monitor and you have yourself a desktop that can pit in your pocket. Fantastic deal, not to mention you can also order online. Perfect for a Saturday night pizza party. Very hot deal here, use Visa Checkout to pay for a movie ticket on Cineplex.com, and you receive a code that gives you a free movie ticket. Hint : Make two separate transaction to receive two free movie codes! Abercrombie & Fitch : 70% OFF + 15% OFF coupon – Free Shipping over 75$! Sign up for their newsletter with a free 10minutes email : http://10minutemail.com/10MinuteMail/index.html to receive a 15% off coupon that you can stack up.